"Anti-dilution protection of luxury brands in the global economy"
Extract: In June 2008, the Paris Commercial Court held eBay secondarily liable for offering online venues to sell counterfeit Louis Vuitton products. In particular, the court ruled that eBay had harmed the reputation of Louis Vuitton’s trademarks. On the other side of the Atlantic, eBay was sued in the United States (US) by another luxury company, Tiffany, for facilitating the sale of counterfeit Tiffany products on the eBay website. In this case, the Southern District Court of New York ruled in favor of eBay, holding that eBay did not harm the reputation of the Tiffany trademark. Why did these two factually similar trademark dilution cases yield judicial decisions that were at odds with each other? This chapter aims to explore the policy responsible for this rift. It reveals that the rift is actually the tip of the iceberg in the global anti-dilution protection of luxury brands. In fact, luxury companies face two major challenges in securing adequate anti-dilution protection. 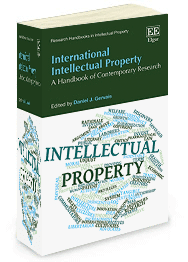 At the international level, the major intellectual property treaties do not afford clear-cut minimum standards for anti-dilution protection of well-known trademarks. At the domestic level, divergences in anti-dilution protections in the world’s three main luxury markets – the European Union (EU), the US, and China – have rendered it more difficult for luxury companies to prevent dilution of their brands... Click here to download Dr Sun's paper published in the Georgetown Journal of International Law.